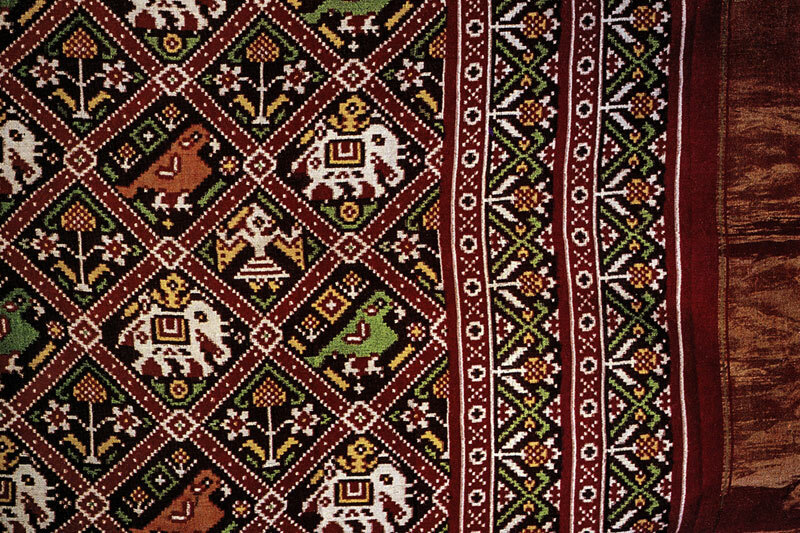 Saree weaved with animal and floral motifs. 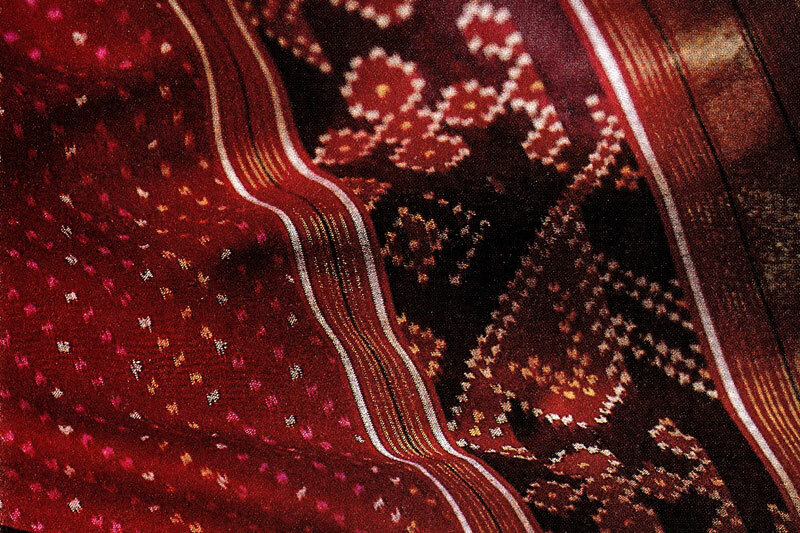 Combination of black, yellow and red are most common color used in patola saree weaving. 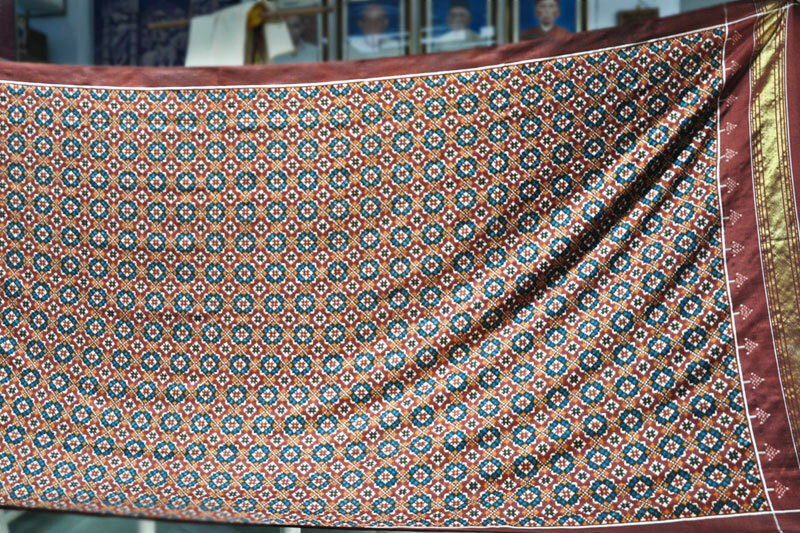 A bright color patola shawl with floral and geometric patterns. Patola saree weaving involves lot of calculations to form the design point of view. 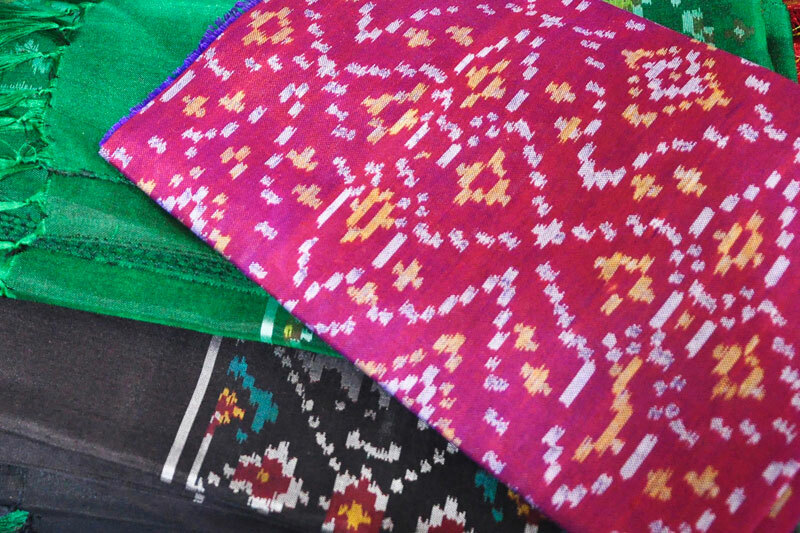 The saree is mostly weaved with bright color threads. 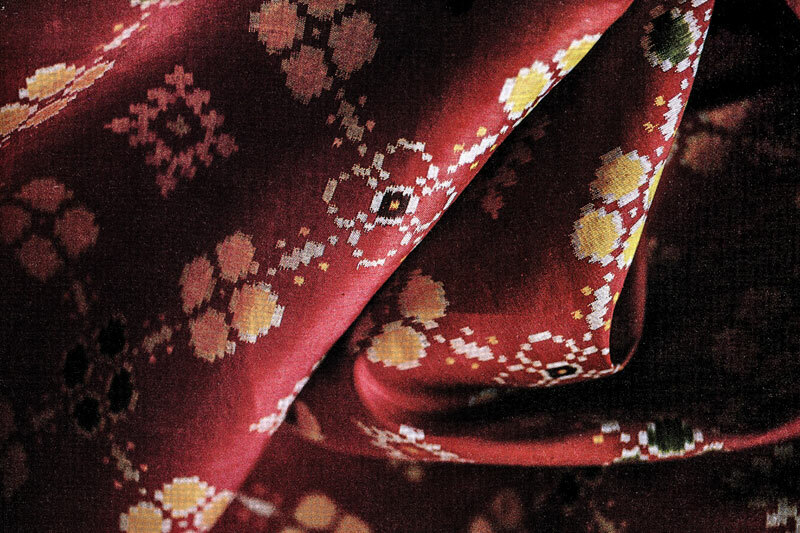 The saree is weaved with both cotton and silk thread. 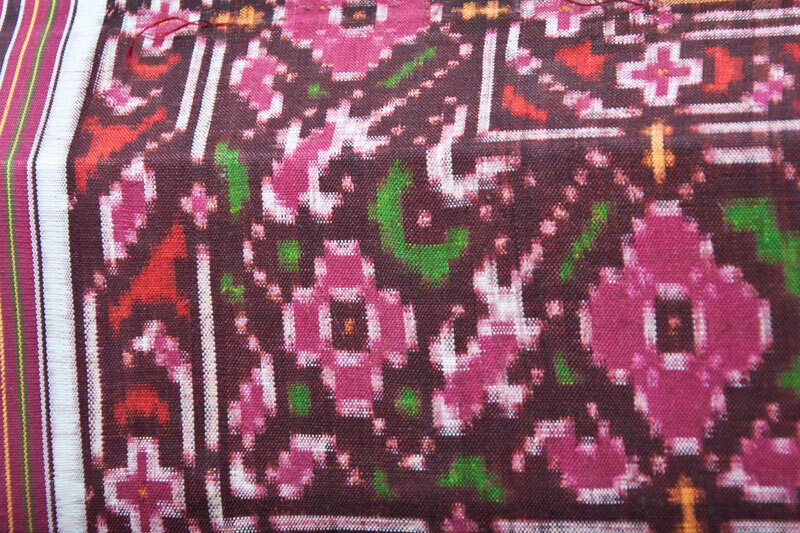 Scarfs and shawls are also weaved in patola design. The borders are weaved with zari thread to give a rich look to the saree. Multi colored sari with geometrical designs. 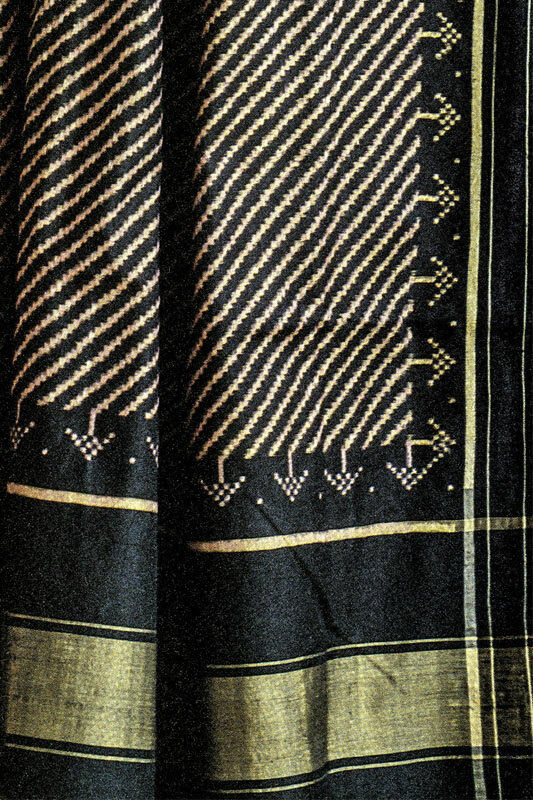 Hand woven Patola sari with simple design and fine finishing at the border. 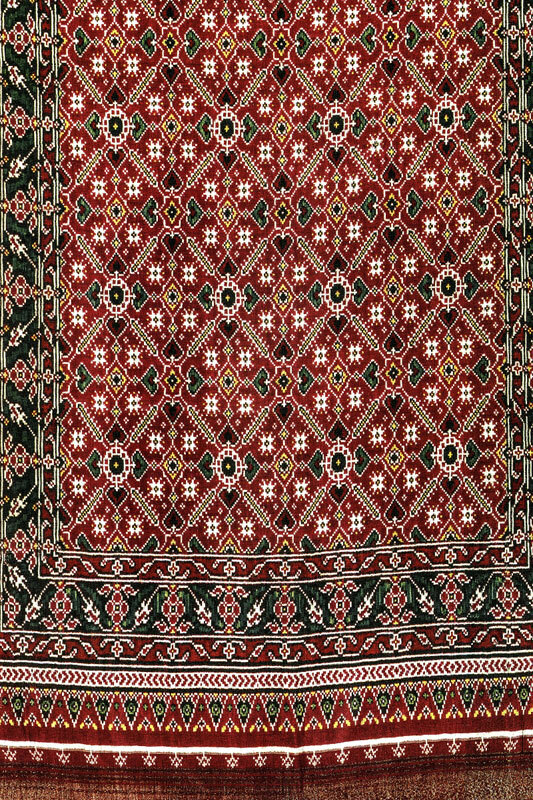 Green, black red and yellow is the most used color combination in patolasaree weaving. Zari is added in the weave to give a rich look to the saree. 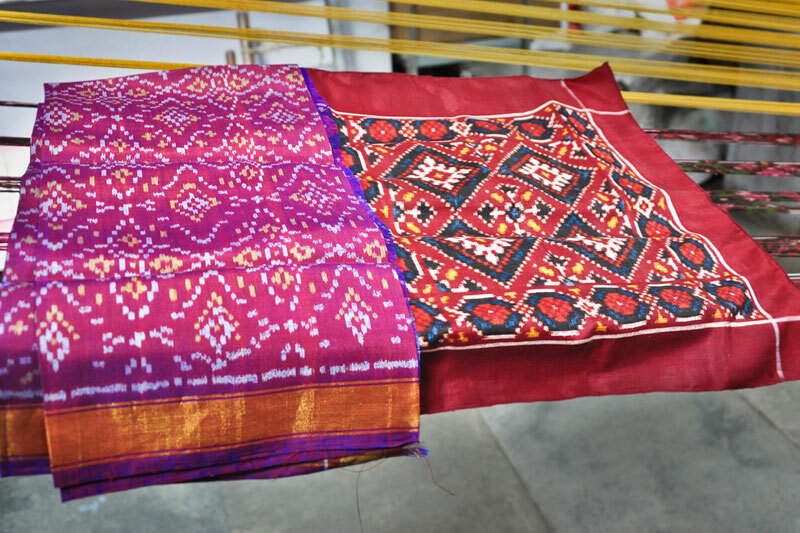 Patola or the double ikat saree are usually renowned for their geometrical and colorful ranges with motifs of flowers, jewels, flora fauna, parrots, elephants, dancing figures with plain, dark and colored borders on pallu and body of the saree. 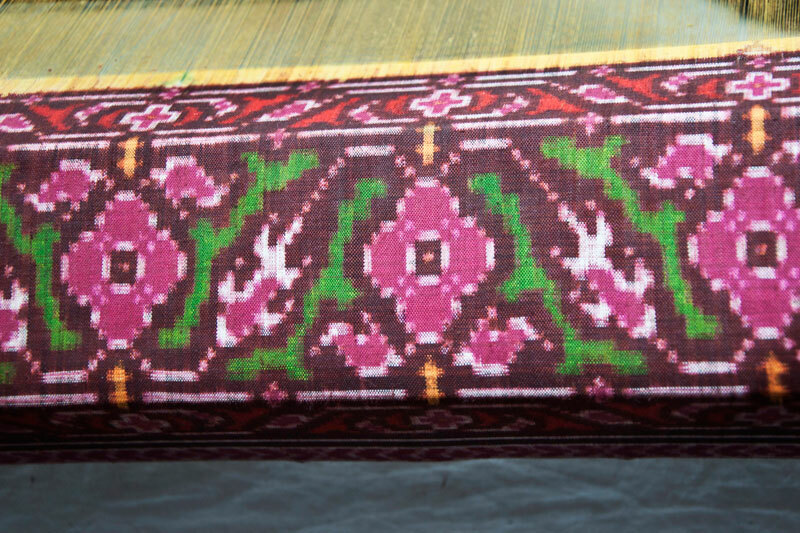 Patola weaving is one of the difficult forms of weaving in the world which follows the double ikat (tie and dye) style for the warp and weft yarns dyed according to the pre-design patterns before dyeing. 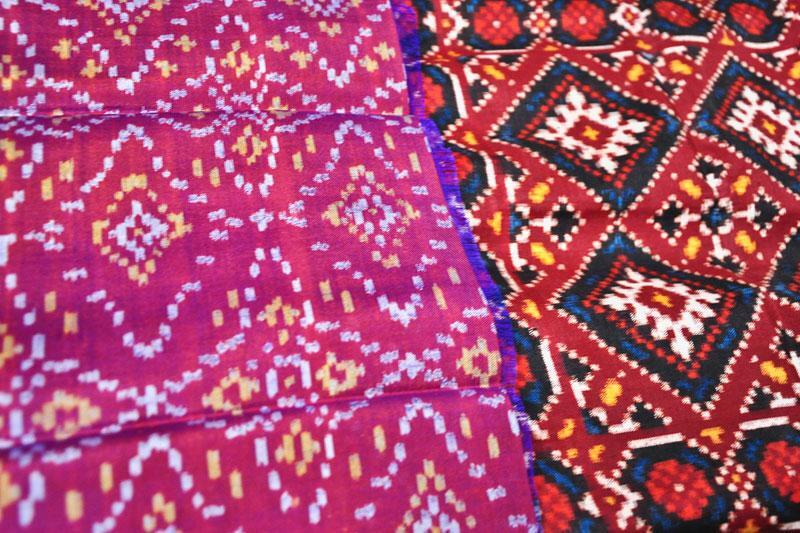 As Patan of Gujarat in India is one of the places where few of the weavers still practice this craft. 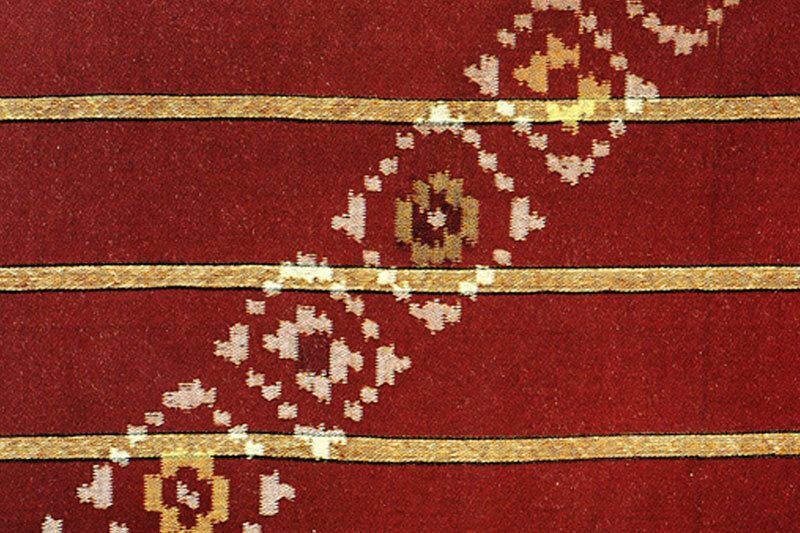 Patolas are characterized by their intricate -bold patterns, juxtaposed with figurative motifs tied and dyed till the complete patterns to be obtained are created.